Designed to fit medium-to-large branches and improve existing cloud services, the Cisco 3900 series routers are optimized for virtual applications with built-in security options and WAN speeds of up to 375 Mbps. Safely improve your network with used Cisco 3900 series routers when you buy from Worldwide Supply. We offer a lifetime warranty on all pre-owned OEM networking equipment including used Cisco 3900 routers. Our warranty is backed by our certified engineering staff that is on call and available 7x24x365 a year. Request a quote by adding products below to your quote cart or give us a call at 888. 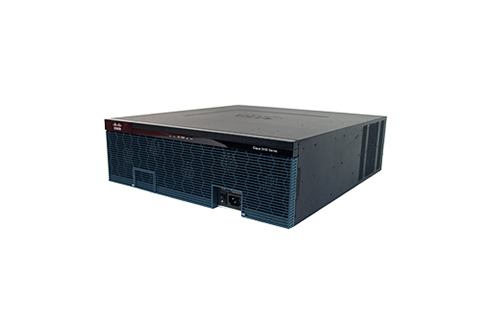 328.2266 to learn more about used Cisco 3900 routers and our NetGuard maintenance programs.